Did you know that, according to the Hawaii Department of Health, Hawaii visitors are EIGHT times more likely to drown than residents? And, they’re also at a greater risk of suffering injuries from ocean activities. Yikes! With those kinds of statistics in mind, the State of Hawaii (along with the counties, the Hawaiian Lifeguard Association, and the Hawaii Tourism Authority) has launched a new campaign to inform travelers about a website that provides almost real time updates on surf, weather and safety conditions at beaches across Hawaii. On the website, users can "tap" the beach of interest, and they'll be directed to the conditions for the selected beach. 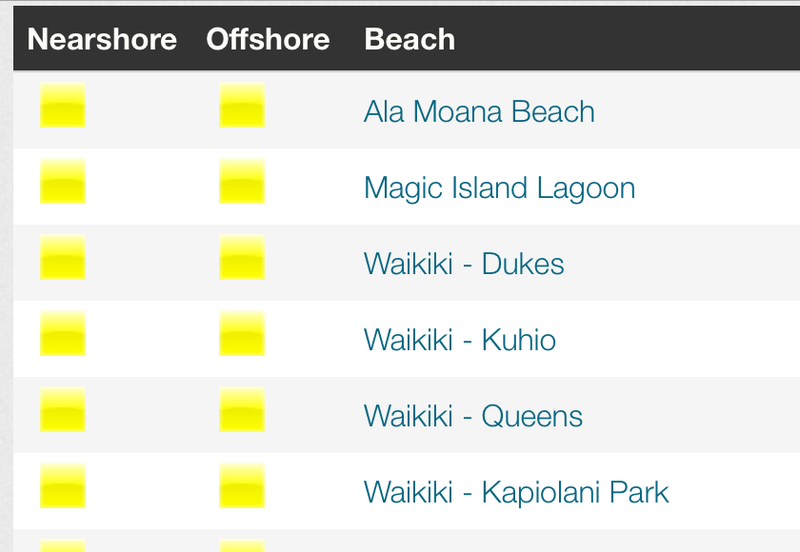 The website can be found at www.hawaiibeachsafety.com, and it provides updates on wind, wave, and other data. It also posts a hazard rating for lifeguarded beaches, plus information about beach closures and active alerts. Bottom line: anything related to Hawaii beach conditions can be found here. The goal? To prevent drowning deaths and minimize injuries, especially for visitors who are considered high-risk due to lack of familiarity with the beaches here. “We’re hoping to prevent drowning fatalities and minimize injuries throughout the state,” Hawaii Fire Department Battalion Chief Gerald Kosaki, who oversees the department’s Ocean Safety Division, told the Hawaii Tribune-Herald. Unfortunately, visitors make-up a large majority of the drowning deaths, and they’re also at greater risk of suffering injuries from ocean activities, such as body boarding and body surfing. Visitors account for more than 75 percent of injured beachgoers in Hawaii, according to statistics. And remember, for every drowning, there are several drowning survivors who could suffere lifelong disabilities, including brain damage. The good news? The new website will offer visitors all the information they need to make an informed decision about what beaches to visit, when to go, and what activities to pursue there. Or, visitors can book tours and activities through reputable companies, such as Hawaii Aloha Travel, which offer packages like the Oahu Circle Island Tour. During the tour, guests only visit beaches that are considered safe, and a professional tour guide is there to ensure guests only participate in water activites when the beach and ocean conditions are satisfactory for swimmers and beachgoers. Users can see whether their selected beach is safe by looking at the "color" assigned. Absent of taking a tour, the new website will help you navigate Hawaii beach conditions, so you can make an informed decision about what beach to visit and when. And the state is serious about making sure you know about it. You’ll find posters offering more information about the website placed at baggage claims at most airports in Hawaii. DON’T be a statistic. 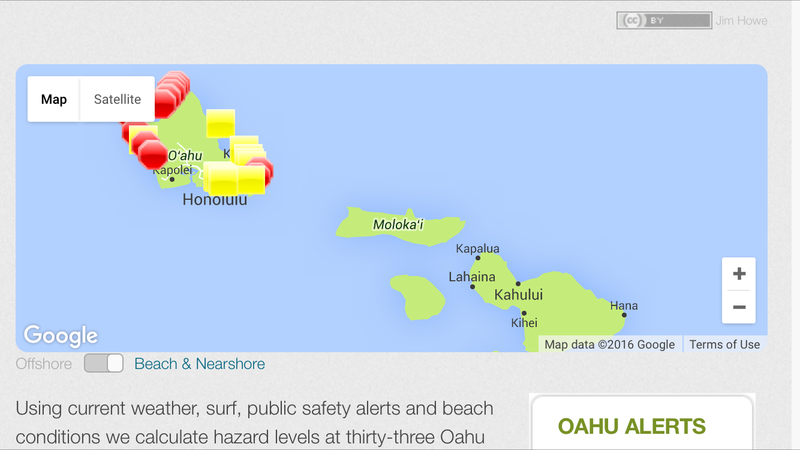 Stay safe in Hawaii’s waters — and check the Hawaii Beach Safety website to stay informed!